Time And Experience was photographed in the mountains of the far Western Delaware Basin of Western Texas. 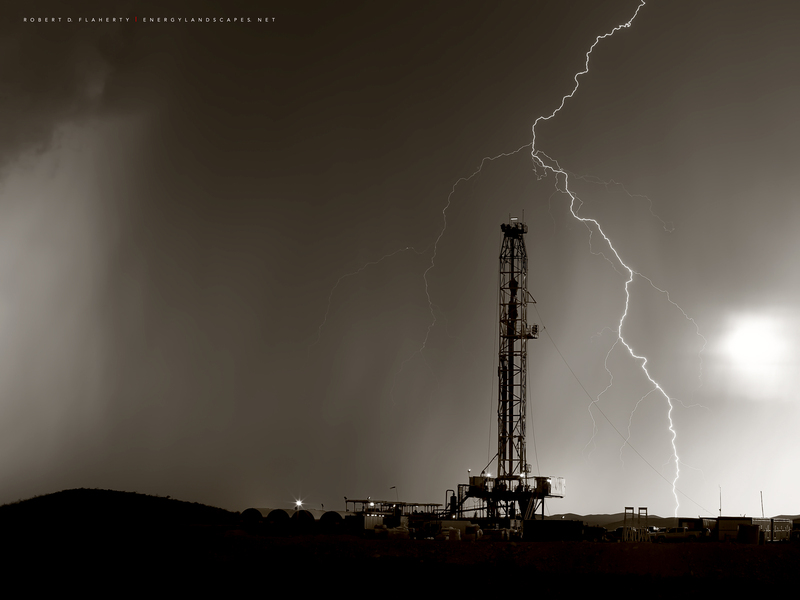 Noram rig 24 is shown drilling a directional well during the 2015 summer monsoon season. This is a high resolution instant composite panorama made by photographing the left, center and rights quadrants simultaneously with 3 separate but matching camera systems. The three cameras were attached to a 48" nodal bar and calibrated to capture all three parts of the image at the precise instant the lightning struck. The result is a image that is twice the resolution of a single frame. Only a few photographers world wide use this technique to instantly capture lighting in high resolution. Photo © copyright by Robert D. Flaherty.